When it comes to water conservation efforts, Californians fell short in February. During the ninth, and final, month under Governor Jerry Brown's historic 25 percent water reduction mandate, urban residents used 12 percent less water compared to the same period in 2013. This is down from a 17.1 percent reduction in January. Felicia Marcus, chair of the State Water Resources Control Board, called it an "enormous effort" in saving water, despite the missed target. 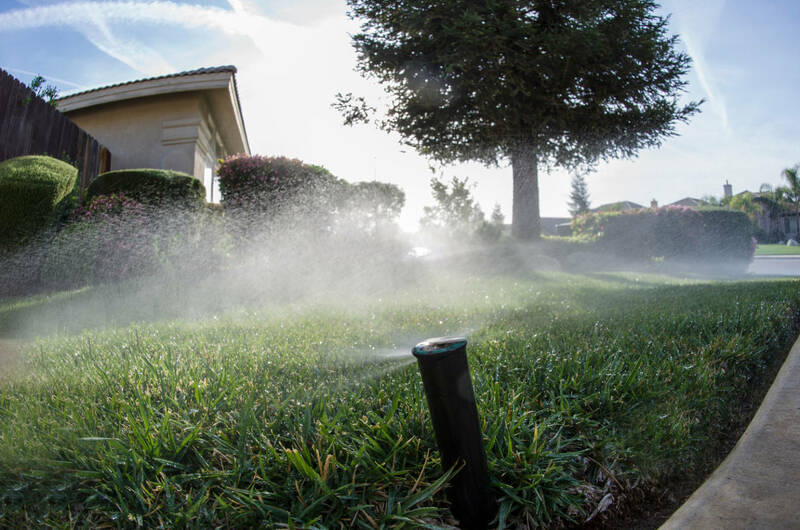 "Californians rose to the occasion, reducing irrigation, fixing leaks, taking shorter showers and saving our precious water resources in all sorts of ways," says Marcus. Hover over the dots below to see how much water each district saved. Still, it was the lowest monthly reduction, in terms of percentage, since the water restrictions began last June. It was also an unusually dry February. Over the entire nine month water reduction mandate, California dwellers reduced their consumption by 23.9 percent. Moving forward, Californians will be required to use at least 20 percent less water. The state is now in the fifth year of drought, even though an El Niño weather system delivered a near-average year of rain and snow in some northern parts of the state. Key reservoirs in Northern California like Shasta and Oroville are brimming after El Niño storms drenched the region. And some Northern California water districts, like Menlo Park, had a cumulative savings of more than 40 percent from June 2015 to February. However, Southern California saw relatively little precipitation and many areas struggled to save water. Places like El Segundo, had a cumulative water savings of just 3.3 percent. By April 1—typically the end of California's rain and snow season—the state was left with a nearly average snow pack and few hopes of more significant storms. "We're in much better shape than we were in last year and thank heavens for that," says Marcus. "But we're nowhere near having a drought-over party. No champagne and confetti yet."